We’re excited to announce the beta launch of Brilliant Hire by SAP – SAP’s latest HR innovation helping businesses move beyond bias – at SuccessConnect 2018 in Las Vegas. The latest version of Brilliant Hire continues the mission of digitizing recruiting through a skills-based pre-screening platform that provides faster and greater insights about candidates while removing unconscious bias. 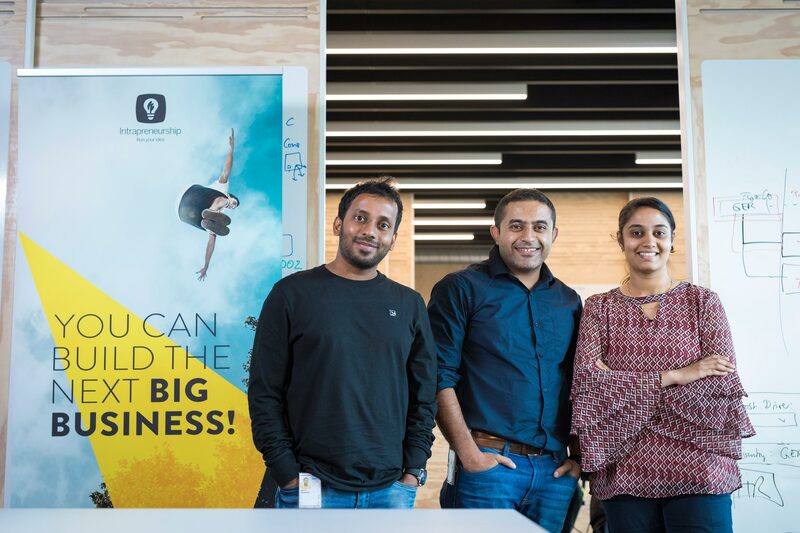 Brilliant Hire was co-founded by Hemant, Appaiah, and myself in the summer of 2016. We needed to scale our team from 4 to 40 people. And fast. To get there, we spent a number of weekends onsite interviewing more than 12 candidates per day, and at best only extending one offer. What we realized is that either there was something wrong with our hiring process or something wrong with the hiring process in general. After talking with more hiring managers, recruiters, and candidates, we found 70% of first-round interviews do not result in a hire because recruiters can only spend a minute or two reviewing resumes before inviting a candidate for a phone screen. In addition to wasting time, studies show the process is extremely biased. One often cited study shows ‘white sounding names’ receive 50% more callbacks than Hispanic or African American sounding names. Bias shows up beyond just race. Men are twice as likely to be hired for math and science-heavy roles compared to women, according to a study conducted by the National Academy of Science. Moreover, according to McKinsey, 97 percent of companies located in the United States have senior leadership teams that do not reflect the demographic composition of the country’s labor force and population. After talking with so many people, we decided to create Brilliant Hire by SAP. Brilliant Hire is an unbiased, skills-based screening tool that helps recruiters scan candidates more effectively. It does this by offering role-based evaluations that are evaluated by a network of subject-matter experts who rate each candidate only based on their evaluation answers without seeing any identifiable information about the candidate. Brilliant Hire integrates seamlessly into SuccessFactors so it can be easily integrated into your hiring process today. Brilliant Hire launched a basic Minimum Viable Product at SAPPHIRE 2018. Today at SuccessConnect, we are launching version 2.0 including new question types, GDPR compliance, and a question bank for multiple roles. Example coding assessment to hire Software Engineers, Quality Analyst Engineers, Data Scientists and more! 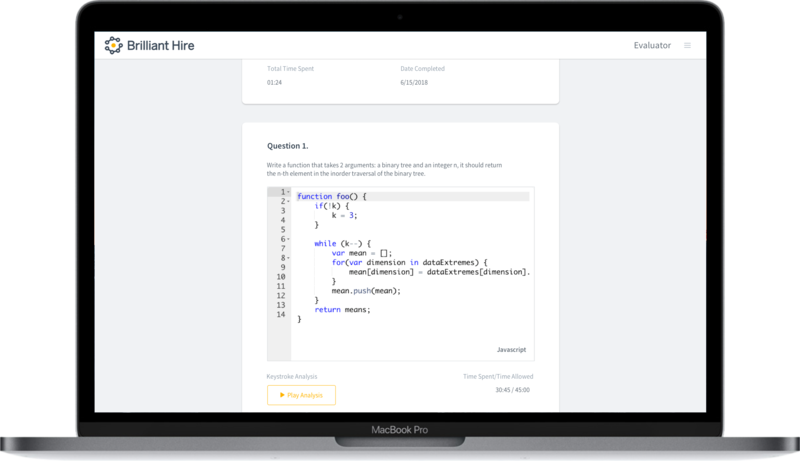 First, Brilliant Hire has added several new question types including timed and File upload. These questions help hiring managers of all types evaluate how candidates work in a specific application. For example, if you’re hiring a financial analyst, you are now able to test their skills working in a Microsoft Excel spreadsheet analyzing a financial breakdown of a company. This brings the focus to what a candidate can do, not what they write on their resume. Second, Brilliant Hire is now fully GDPR compliant. Our team completely re-engineered the backend systems powering Brilliant Hire to ensure that customer and candidate data is being securely stored. Further, Brilliant Hire has been validated by the same security validation and Data Privacy Protection (DPP) standards that all SAP products endure, ensuring we meet the highest standards. Finally, almost every part of the product has been tweaked to improve the performance. Based on 100 in-depth conversations, we have improved the: process for assigning evaluators, integration with SuccessFactors, coding language selection, internal question bank, analytics for evaluators, and much more. To experience what Brilliant Hire by SAP can do for your business, come by booth 11 in the SAP Solutions Expo or email us at Hello@BrilliantHire.io.